When celebrated author Jack Rogan stumbles upon a hidden diary, he can’t resist investigating. Honouring the last wish of a dying friend, he is irresistibly drawn into a web of intriguing clues, hinting at a long forgotten treasure. Joining forces with Cecilia Crawford, a glamorous New York journalist, and Tristan, a remarkable boy with psychic powers, Jack soon finds himself on a precarious journey of discovery, exposing dark secrets from a distant, violent time, when life was cheap and cruelty ruled without mercy. Will Rogan succeed? 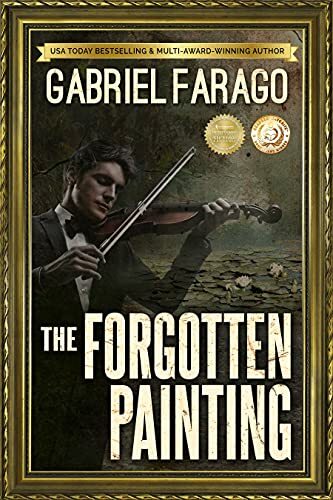 Can he find the forgotten treasure he has been searching for, or will it be lost forever, depriving the world of a masterpiece that belongs to all mankind? Author's Note: The Forgotten Painting is a novella, and as such, it is of course much shorter than my novels. That was one of the reasons I have chosen this genre as the vehicle to introduce new readers to my work. However, I hope it will also entertain existing readers and give them something new and exciting to explore and enjoy.